WASHINGTON -- The Obama administration has deported about 4 percent of the tens of thousands of unaccompanied child immigrants who have been caught crossing the border illegally in the last several years, a Homeland Security Department official told lawmakers Tuesday. The head of Immigration and Customs Enforcement's removal operations, Thomas Homan, told members of the Senate Judiciary Committee that 7,643 immigrants who arrived as children were sent home between the 2012 and 2015 budget years. More than 171,000 children, mostly from Honduras, El Salvador and Guatemala, were arrested at the border during that same time. The number of children caught crossing the border illegally spiked in 2014 and the Obama administration promised that those who were not eligible for protections in the United States would be swiftly sent home. 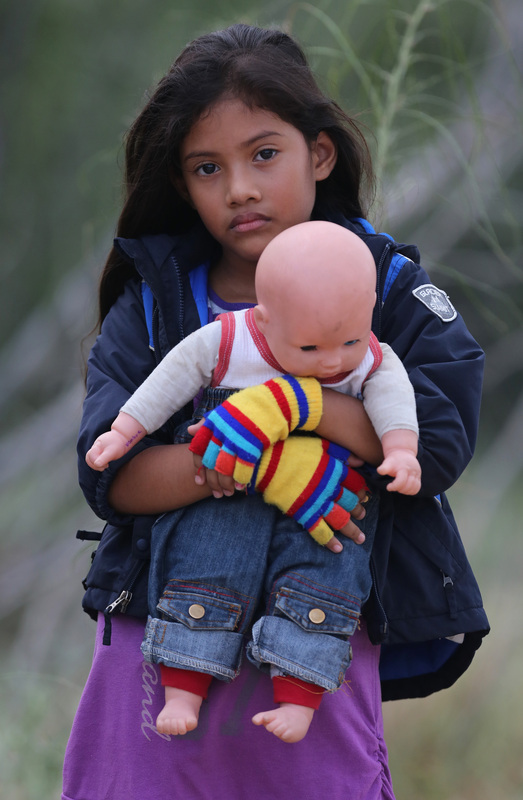 Federal law requires that children from countries that don't border the United States be transferred to the care of the Health and Human Services Department before being placed with a sponsor, usually a relative, while they wait for their immigration case to be heard by a judge. And with an immigration court backlog of more than 474,000 pending cases some cases can take years to move through the court system. Juan Osuna, the Justice Department official who oversees the immigration court system, told lawmakers Tuesday that about 40 percent of immigrants are no shows at court. Those who don't show up can be and routinely are given deportation orders in their absence, Osuna said. Finding immigrant children with outstanding deportation orders is also complicated by the fact that they often are no longer at the addresses provided to the government. "We are out looking," Homan said. "But they are hard to find. A lot of these folks who don't show up in court, we don't know where they're at." The disclosure of the deportation figures comes amid political tensions over how the administration is enforcing immigration laws and worries that there could be another flood of immigrant children and families caught at the border in the coming months. Over two days in early January ICE agents arrested 121 immigrants who crossed the border illegally as families. Like the children, all had been ordered out of the country by a judge. But some Democratic law makers and immigration advocates argued that the immigrants should not be sent back their home countries, where extreme violence and poverty are persistent problems. Many Republicans have disagreed and a few lawmakers said again Tuesday that immigrants in the country illegally should face deportation. "It cannot be that every young person from Central America is entitled to asylum or entry into this country," said Sen. Jeff Sessions, R-Ala.